Starrla Cozad Sage has been named the2016-2017 Cheyenne & Arapaho Old Settlers and Redmoon Pow Wow Senior Princess. 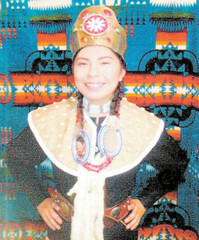 She is a member of the Cheyenne-Arapaho and Kiowa Tribes of Oklahoma. Field Trip to the Park!